I can’t believe it has been 6 months since we left 212 High Street! It’s been super busy at Cakery HQ inventing cakes for Copper, keeping up with the ever increasing afternoon teas at Quay Three, baking for Coast Cafe, designing desserts, & supporting Team GB with cupcakes for The Marriott Hotel. Not to mention meeting up with all of our lovely customers at the local markets, including the brand new Morriston Market. With all of this going on we are not taking any future orders for Celebration Cakes. While we do love making them we are not able to keep up with demand and have made the decision to focus on our cupcakes and layer cakes – which are made to order and can be personalised too! Any cakes currently on order will be made, so please don’t worry! 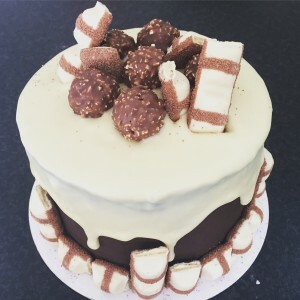 For the time being Cupcakes and Layer Cakes can be ordered by emailing hello@theraspberrycakery.co.uk and, from September onwards, collected from us at the following markets: Uplands, Marina, Morriston. For dates see www.uplandsmarket.com.